For Executive Chef Rakesh Singh, Sarson Machhli is a recipe from his grandmother. The fish curry used yellow mustard and is light on the palate, going perfectly with steamed rice. 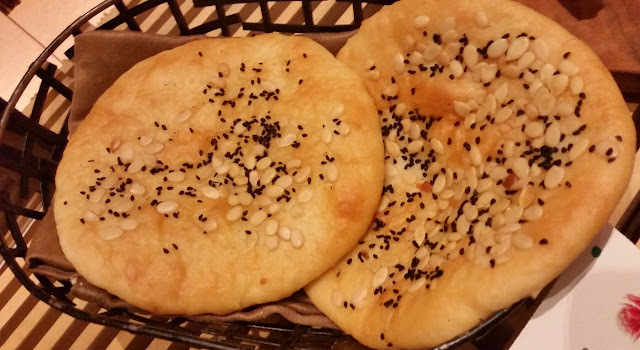 Besan Barfi Qaliyan was a spicier dish, however, and we loved it with the Taftan bread. The besan cakes, moist with the soaked gravy tasted brilliant. 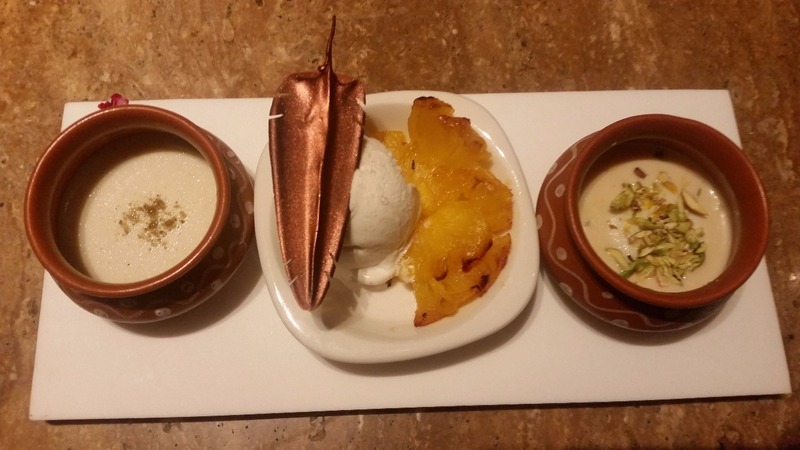 The other two dishes from Chef Rakesh were from different genres. 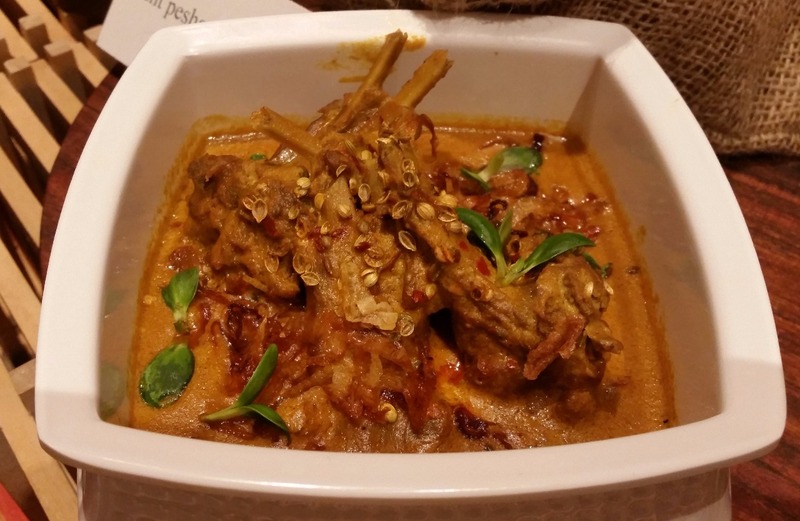 Whereas Murgh Nizami Pardah was a Hyderabadi dish, I loved the fusion Safed Rosemary Gosht with Baida Tamatar. 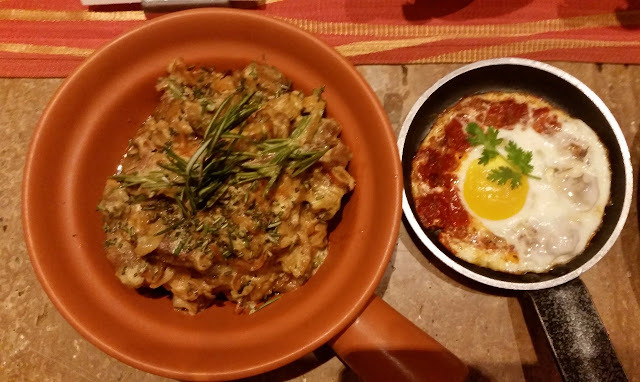 I had not tried this kind of a combo before, with the egg with sunny side up on top of sautéed tomatoes, and the flavourful lamb which was light on spice, combining very well. This is one of the star dishes of the promotion. Chef Yadaiah decided to showcase one of his family recipes, Kalchina Mamsam which is a dish from Telangana. Lamb chunks are marinated in a variety of spices and herbs and then grilled on charcoal. The meat, the masala, and the smoky flavours combined together to result in a balanced taste. Machli aur Kopra Ka Salan was a fish gravy cooked in dry coconut. 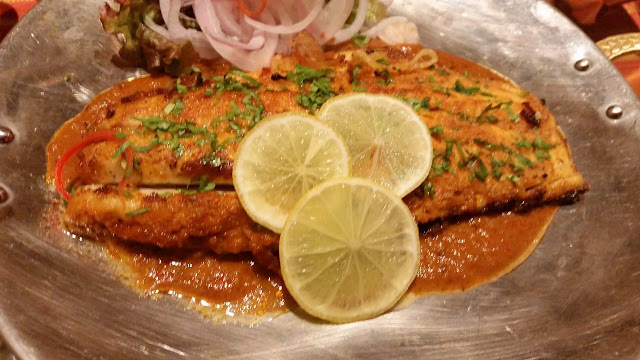 The soft murrel fish was at its tasty best, and the curry was good to go with rice as well as Ragi Phulka. 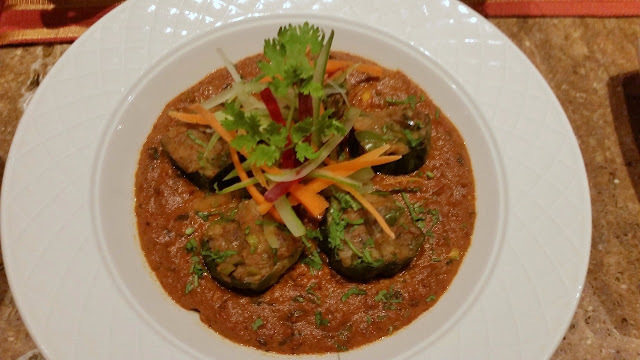 I am not a fan of pointed gourd, but Masala Parwal prepared by the chef had a greenish looking gravy which looked very attractive, and I ended up trying a bit. The coriander, mint and green chilli based hara masala packed a lot of punch in it and did not disappoint at all. 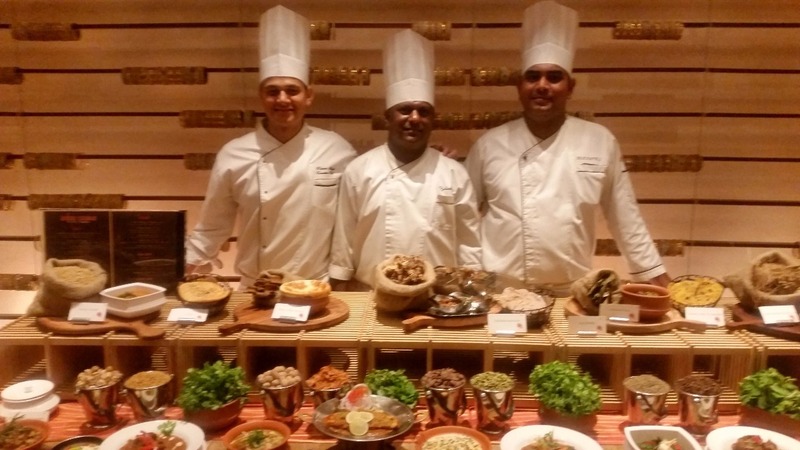 Among the favourite dishes from Chef Srikanth was Natu Kodi Kura, the local preparation of country chicken. I missed ragi mudda with this. 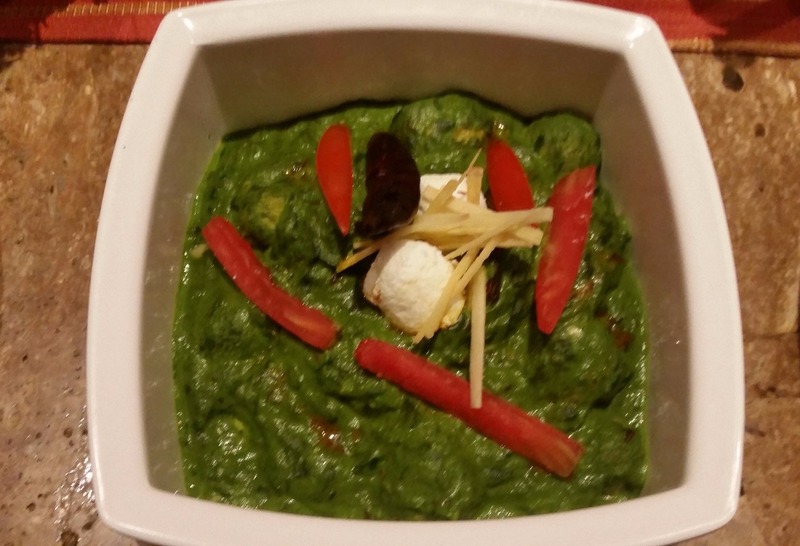 Multani Aloo was a Pakistani dish using hing and potatoes. Gosht Peshawri Qaliyan was an ideal dish to showcase from North-West Frontier – the curd and yellow chilli based gravy on the lamb chops was rich but not spicy. The taftans were there to do justice to it. A platter was presented for dessert. There were Malai Bati, and Tandoori Pineapple with vanilla ice cream, the latter a familiar dish in the city barbeque joints. 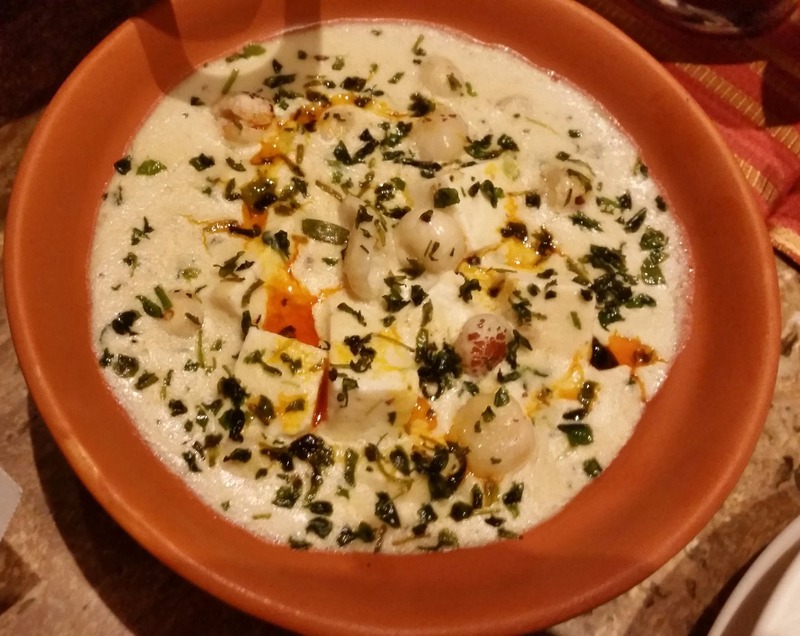 For me the Elaichi Dahi was the pick, the flavourful preparation of curd was lovely. The promotion has quite a few other interesting dishes. Kathal ke Kofteh (jackfruit balls in a gravy), Jhinga Suneri (a prawn preparation), Paneer Methi Phool Makhana and Soya Paneer Saag were some of them. 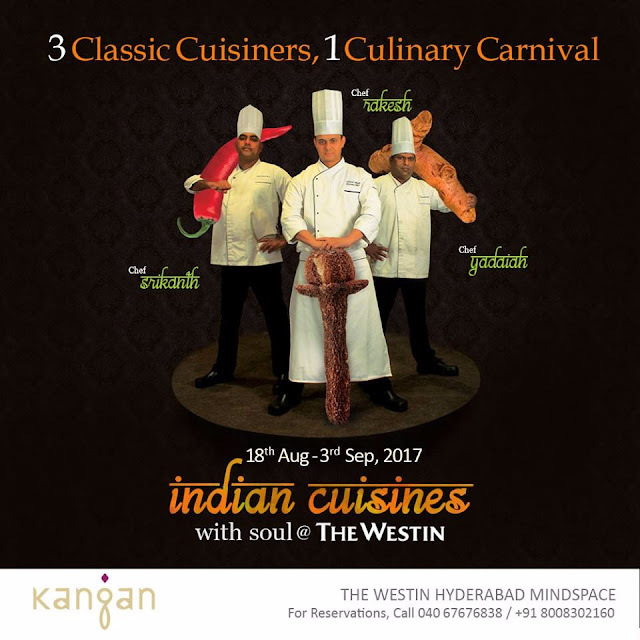 A very interesting culinary carnival, where you have dishes prepared with a lot of passion. The a-la-carte festival is on only for dinner until 3rd September. 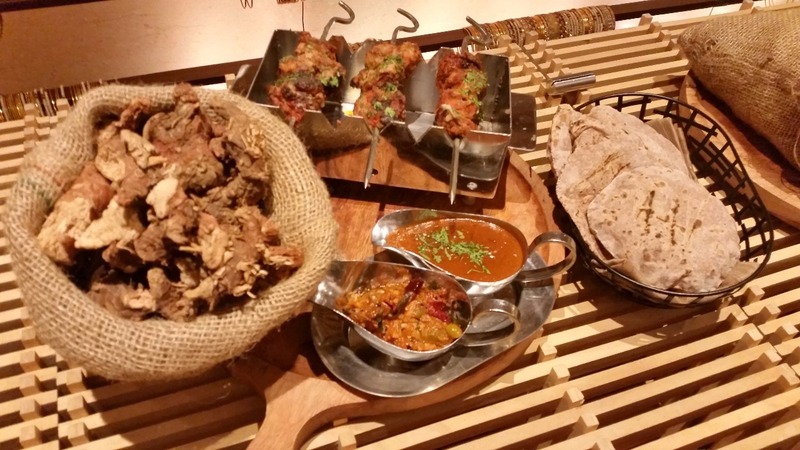 A must visit for lovers of Indian food.